Bouquet Medium intense fruity green olive, with clear hints of artichoke and fresh grass, slight olfactory perception of green almond. Taste Neatly herbaceous with floral hints, initially sweet, with a pleasant bitter and spicy, but never excessive. Fairly fluid and not very persistent. 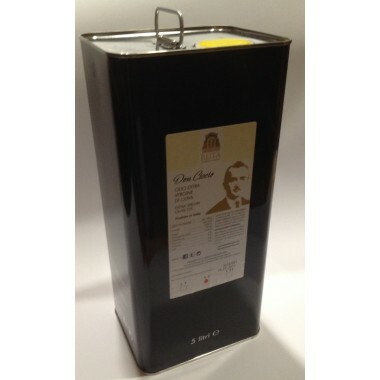 Pairs with Grilled fish, meat, bruschetta and bread with oil, tomato and vegetable salads. The delicacy of taste makes it go very well with boiled vegetables. Olive type Biancolilla, Moresca, Verdese. 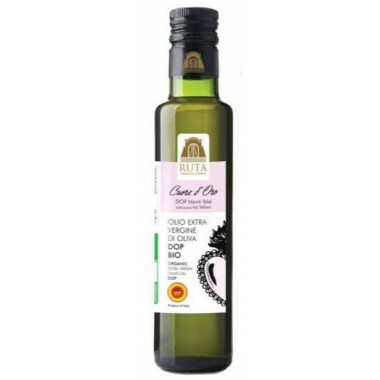 The Ruta Olive Oil Mill is a family before being a company. This is a crucial detail in understanding the value of the specialized work that Ruta does that is built on tradition since 1953 and having been passed down from father to son. It is a tradition directed towards innovation in the industry and the pursuit of cultural development of the area. The company’s founder was Francesco Ruta (Don Ciccio) who built the first oil mill and hydraulic presses. Today, his son Giorgio along with his wife Valeria Anna, and their children manage the company with the same passion, dedication and enthusiasm in the cultivation and care of the olive trees, cold press oil extraction, and in the innovation of production processes. Each step is the result of careful craftsmanship in full respect to nature and traditions. 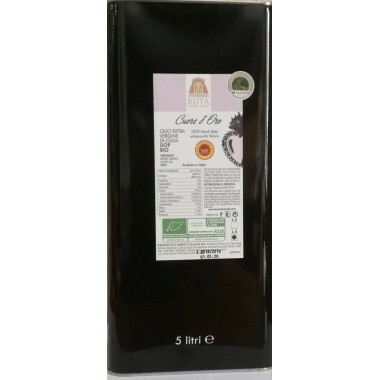 DON CICCIO olive oil is obtained from the first harvest of carefully selected olives from mainly Moorish varieties found widespread in the eastern part of Sicily. Bouquet: Medium intense fruity green olive, with clear hints of artichoke and fresh grass, slight olfactory perception of green almond. Taste: Neatly herbaceous with floral hints, initially sweet, with a pleasant bitter and spicy, but never excessive. Fairly fluid and not very persistent.